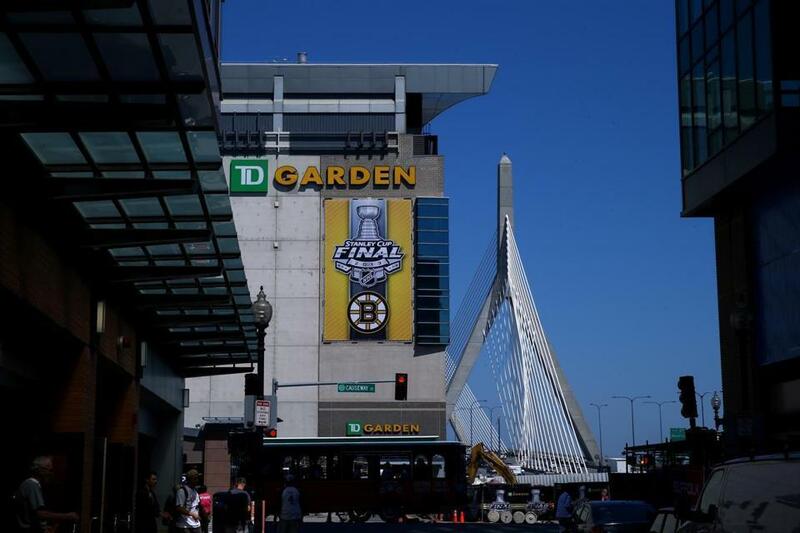 The teenagers battling TD Garden over the sports arena’s failure for 22 years to hold mandated charity fundraisers for recreational facilities — such as the Jackson Square ice rink for which the teenagers are raising funds — took their fight to government on Thursday. Dozens of teenagers with the Hyde Square Task Force marched to the State House and then to City Hall to present letters demanding that Governor Charlie Baker and Mayor Martin J. Walsh get behind their effort to force TD Garden to pay more to settle its fund-raising obligation. The teenagers with the Hyde Square Task Force were the first to discover that TD Garden, which houses the Boston Bruins and the Boston Celtics, failed to comply with a 1993 law requiring the arena hold three annual fundraisers to benefit city recreation centers. The requirement was tucked into the law that authorized the development of TD Garden, but it went by unnoticed until the Hyde Square teenagers began researching funding options for a recreation center that is being built by a community developer in Jackson Square. 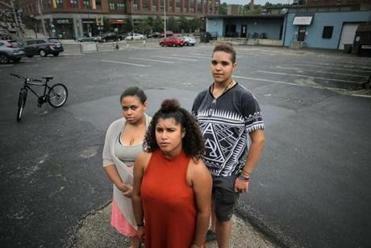 TD Garden later called the failure an oversight and praised the discovery by the teenagers. The arena settled with the state and agreed to pay $2.65 million toward the development of the Jackson Square center. The state also agreed to pay $1 million to the project for failing to enforce the law, in addition to the $5.6 million the state had already committed to the project. Eager to find funding for a new hockey rink in their neighborhood, a group of teens from Hyde Square discovered the forgotten decades-old deal. But the teenagers said the state Department of Conservation and Recreation, which managed the negotiations, reached a weak settlement, and they questioned whether the agency had any legal authority to reach the deal at all. The teenagers are set to meet next week with representatives of Attorney General Maura Healey. “We are here today to tell you that your voice is needed in regards to the Jackson Square recreation facility and TD Garden’s refusal to satisfy its obligations, thereby short-changing the people of the Commonwealth,” the teenagers said in the letters to Walsh and Baker. Officials from the Baker administration have called the settlement appropriate. A Walsh spokesperson said the city has sought ways to help fund the center, and encouraged the students to continue to work with the state.